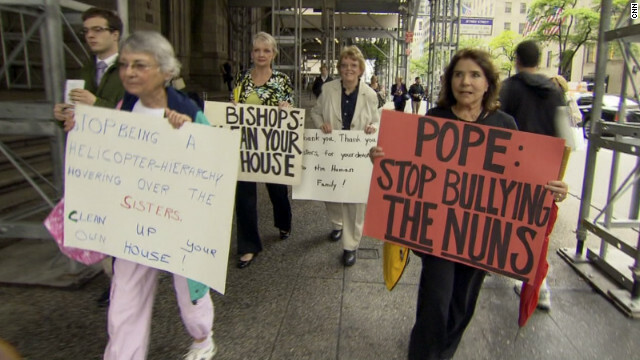 Protesters demonstrate at New York's St. Patrick's Cathedral against the Vatican's response to U.S. nuns' activism. 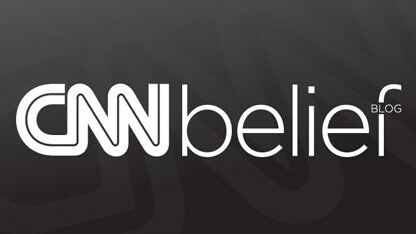 NEW YORK (CNN) - A group of Catholic activists gathered in front of a Manhattan cathedral Tuesday for the latest protest over a Vatican reprimand of America's largest organization of Catholic nuns. About two dozen parishioners and former clergy gathered in front of St. Patrick's Cathedral, protesting last month's controversial report from the Congregation for the Doctrine of Faith, the church's doctrinal watchdog. Following a years-long "doctrinal assessment" investigation of the Leadership Conference of Women Religious - which represents 80% of the Catholic nuns in United States - the report found "serious doctrinal problems" and called for major reforms. It accused the LCWR of sponsoring "certain radical feminist themes incompatible with the Catholic faith in some of the programs and presentations." "The sisters are wonderful people who work very hard, and yes, they do care about the poor, and they do care about social concerns, and the congregation of the dogma of the faith has come down on them really hard," said Eileen Sammon, one of the protesters gathered outside St. Patrick's. "It is unfair, unjust, unconscionable, and I'm here to support them." 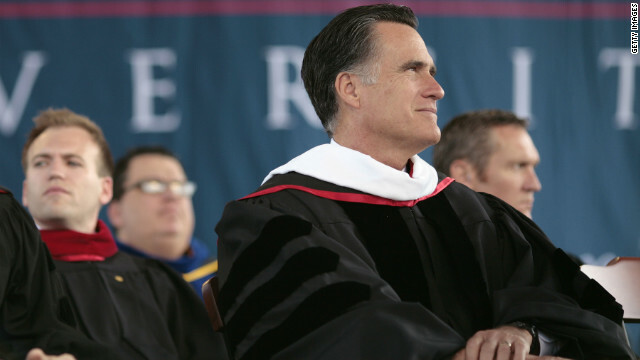 Mitt Romney delivered the commencement address at Liberty University in the midst of attacks on Mormonism. 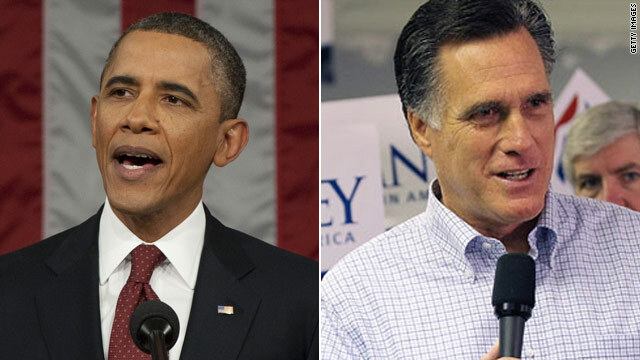 A political truce may be brewing between the Obama and Romney campaigns on the issue of the candidates' faith and religious practice. An all-out war over such issues nearly erupted last week, but neither campaign would take up arms. The University of Notre Dame and "a diverse group of plaintiffs" filed lawsuits Monday challenging the federal mandate that religious employers offer health insurance that includes coverage of contraceptives and birth control services, Notre Dame spokeswoman Shannon Chapla said.